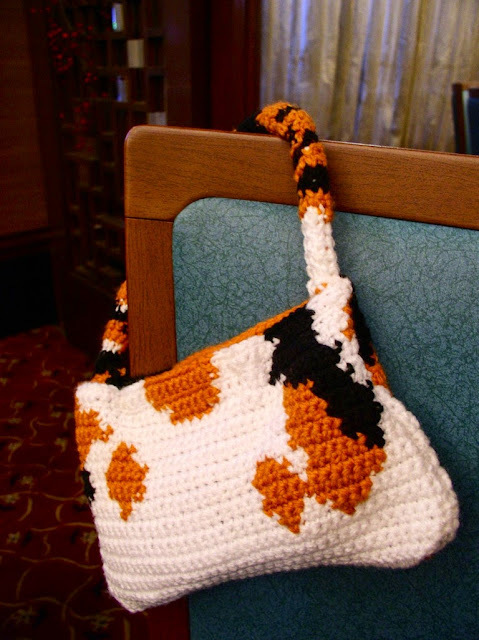 The Calico Cat Bag is simply composed of two rectangles worked in single crochet stitches. 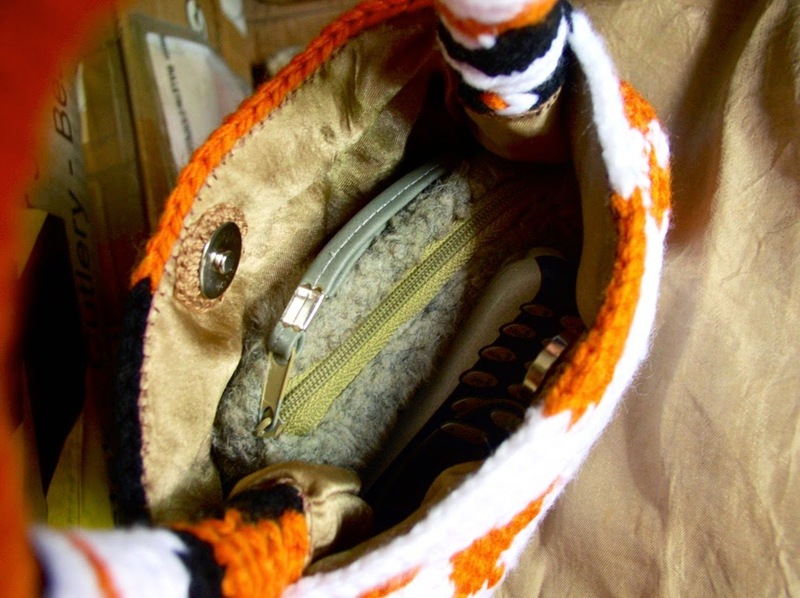 The rectangles are then sewn together at the sides and a crocheted cylinder stuffed with filling attached as handle. A magnetic clasp is sewn on. 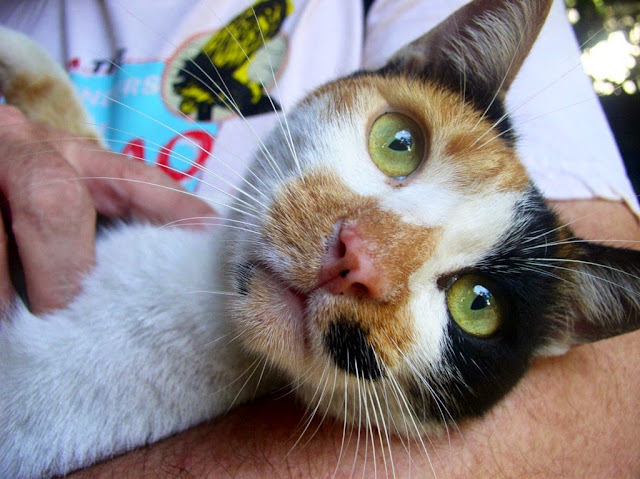 The colours and pattern of the Calico Cat Bag is based on the patterns on my cat’s face, body and tail. 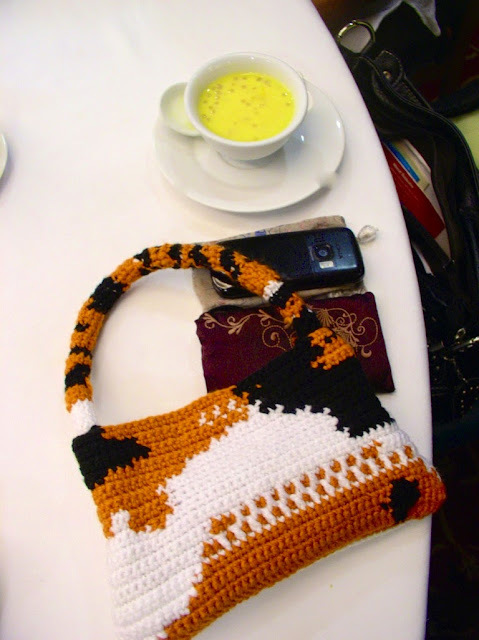 The face make up one side of the bag, the mody make up the other side of the bag and the tail make up the handle of the bag. I also made a lining for the bag. 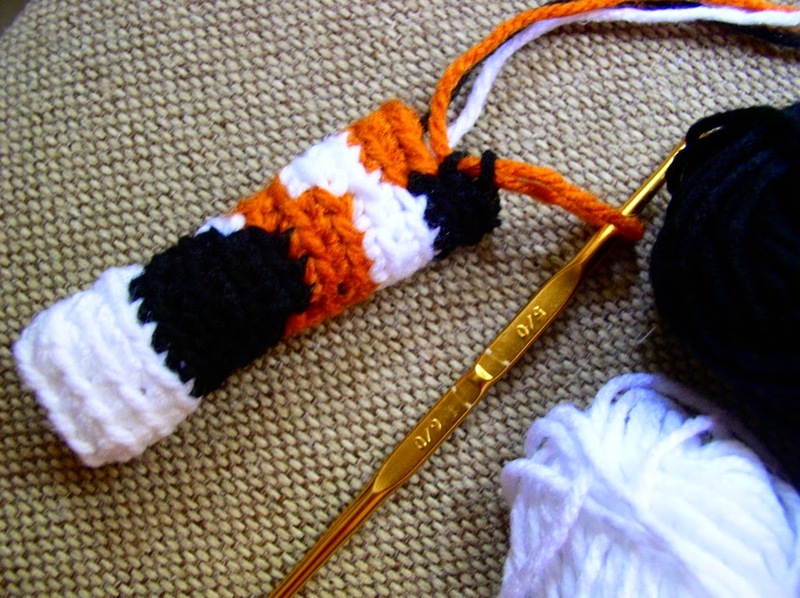 I used worsted weight acrylic yarn in calico colours – white, black and orange. 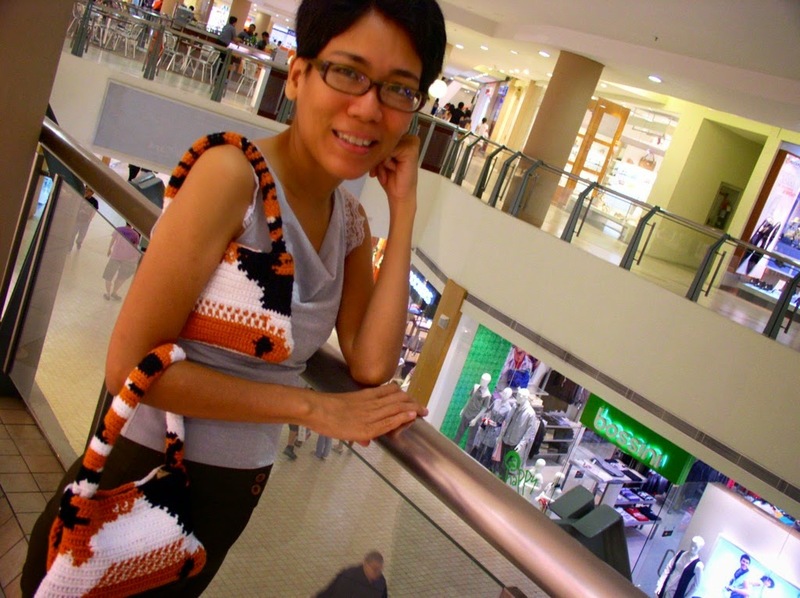 Make your own pattern for the Calico Bag. 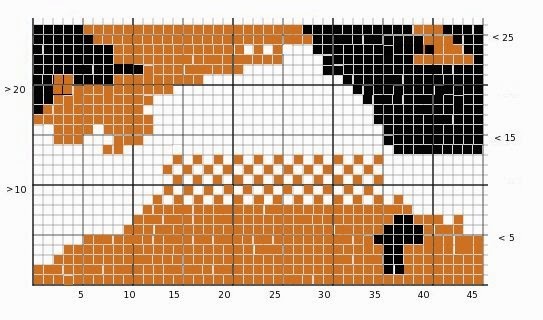 Transfer your sketch onto a graphing paper, each square in the graphing paper representing one single crochet stitch. 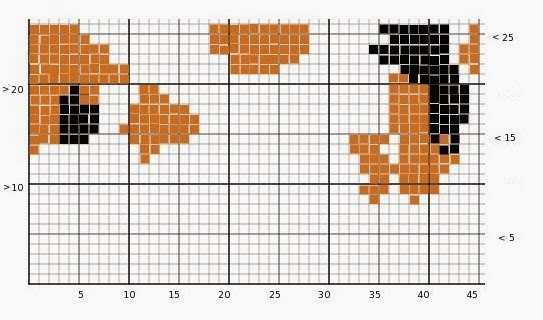 This will be your pattern guide. 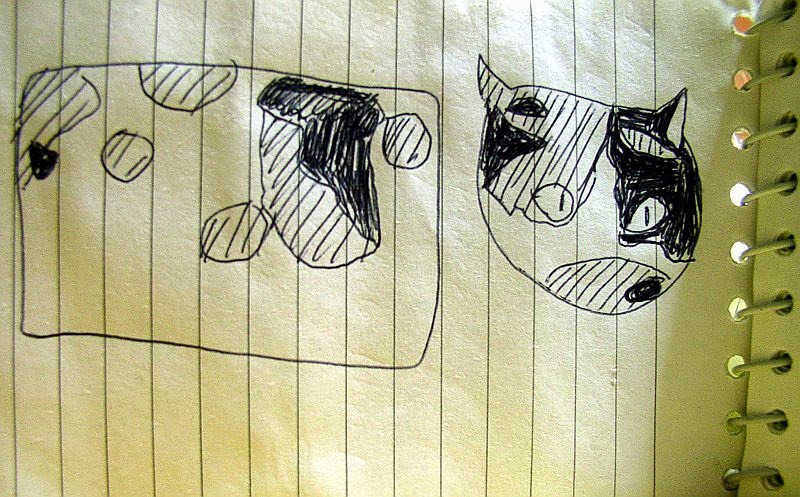 Make one for each side of the bag and the tail. 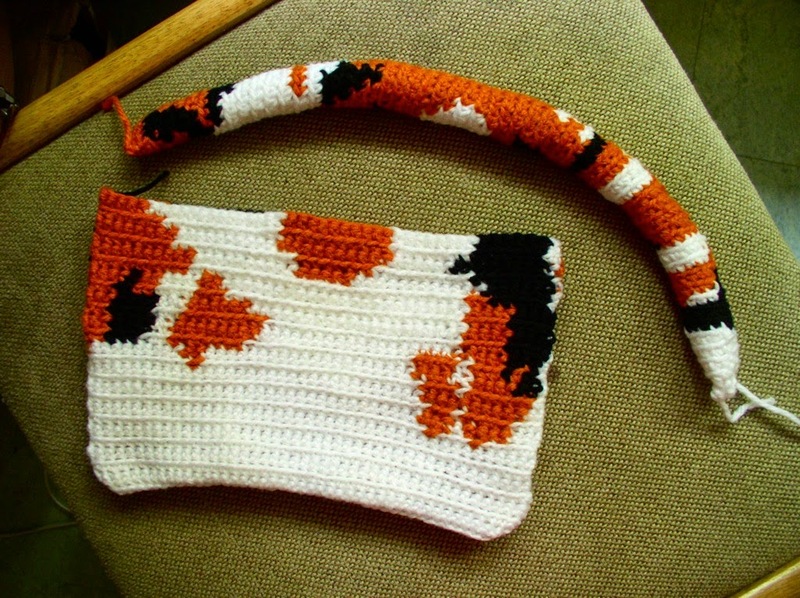 My Calico Bag has 45 stitches in a row and 26 rows. To attach the magnetic snaps, I crocheted two circles the same color as the bag lining and slightly larger than the snaps. 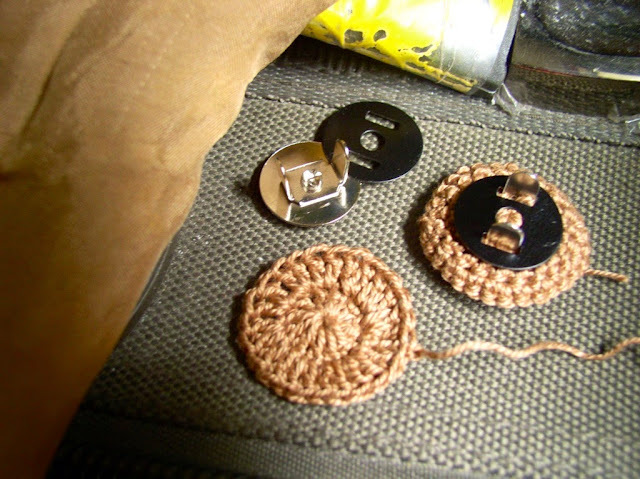 Then I attached the snaps to the crocheted circles and sew these to the bag.